In the spirit of the aphorism “a picture is worth a thousand words,” I recommend stopping by the British Museum’s Aztec collection online. They have available 27 photographs (well, 26 if you ignore the crystal skull that’s been proven to be a hoax) of beautiful Aztec and Mixtec artifacts. 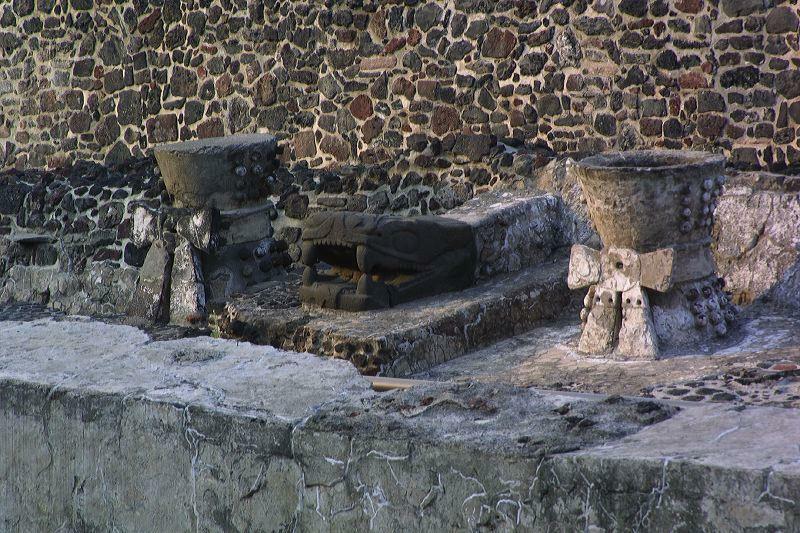 Among them are statues of Quetzalcoatl, Tezcatlipoca, Mictlantecuhtli, Tlazolteotl, Tlaloc, Xochipilli, and Xipe Totec, as well as a rare mosaic ceremonial shield, a turquoise serpent pectoral, and a sacrificial knife. 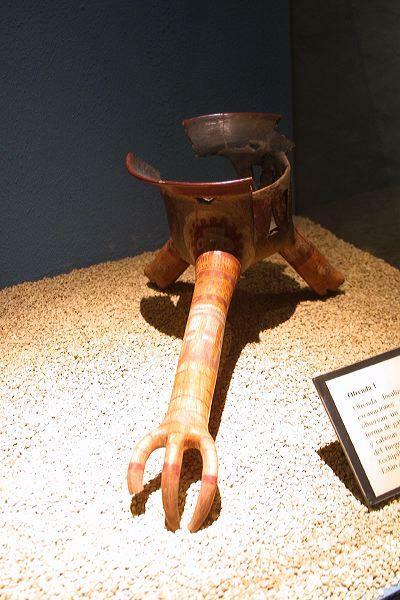 The images are thought-provoking and intense, as these objects speak wordlessly the vision of the Nahua peoples without Colonial censorship. Click HERE to visit the British Museum’s Aztec Highlights. 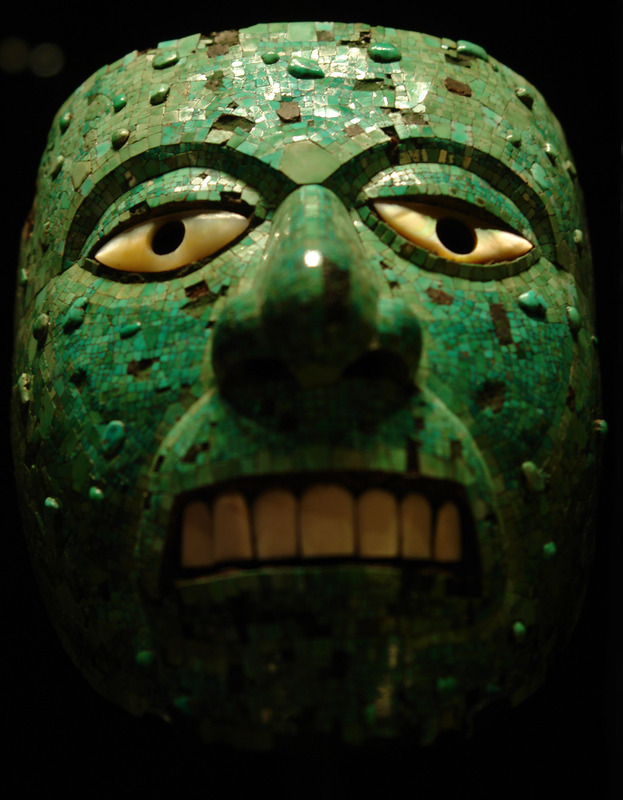 As a bonus, I located an excellent photograph of a jade mask of Xiuhtecuhtli, God of Time and Fire, which is a part of the British Museum’s collection but is not on their website. Thank you Z-m-k for putting your fine photography skills to work on this worthy subject material and for your kindness in sharing it under the Creative Commons Attribution Share-Alike 2.5 License. Shock kindly shared the link to this story with me recently, and I thought I would highlight it here as an interesting archaeological discovery. I look forward to when they publish their full findings.